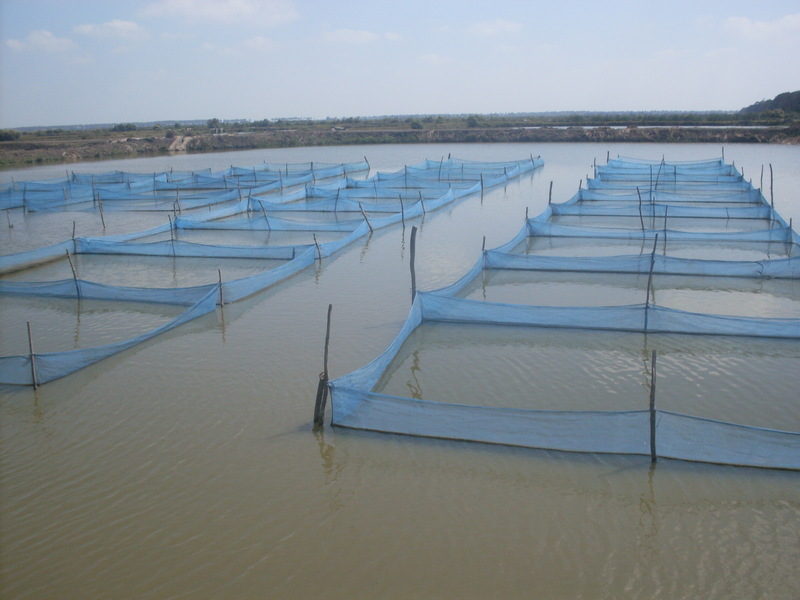 The photo shows an open-system for tilapia hatchery in Egypt. This type of hatcheries is based on hapas placed in earthen ponds. The advantage of such system is mainly economical as well as the ability to nurse fry in nursing hapas in this open system. However, because the spawning in this system takes place during natural spawning season, there is ability to produce fry earlier as compared to greenhouse system. The checking interval -in days- for spawning will vary according to the operation management of these hatcheries. For example, if the hatchery plan targets only fry collection, the period could be extended to 10-12 days between collections. On the other hand, if embryos and yolk sacs are also targeted, a week interval will be appropriate.